Robotic grass cutting in Hampshire: Good idea for the Isle of Wight too? They’re starting to use Robotic grass cutting in Hampshire (details in here). Would it be an idea that would translate to the Isle of Wight as well to you think? It is something that until fairly recently was only seen in science fiction films from the 1960s. But now robotic lawnmowers are set to be introduced across the county as part of a massive trial. Hampshire County Council bosses want to use the machines to manage the grass areas of the region’s 5,500 miles of road, and 2,000 miles of roadside verges. The machines will be guided using “smart technology” to easily navigate around obstacles and pre-set boundaries. It will also be operated by a member of the council’s maintenance team. This, council chiefs say, will mean reduced disruption for road users as less traffic management – such as cones – will be needed, as operators will be standing further away from the roadways – making it safer than conventional cutting methods. However, the council were unable to confirm how many machines will be used or how much it is costing. Grass cutting on rural roads is carried out once a year by the authority. “Grass cutting is an important part of our annual highways maintenance programme as good visibility is vital for all those using the road to maintain clear lines of sight. 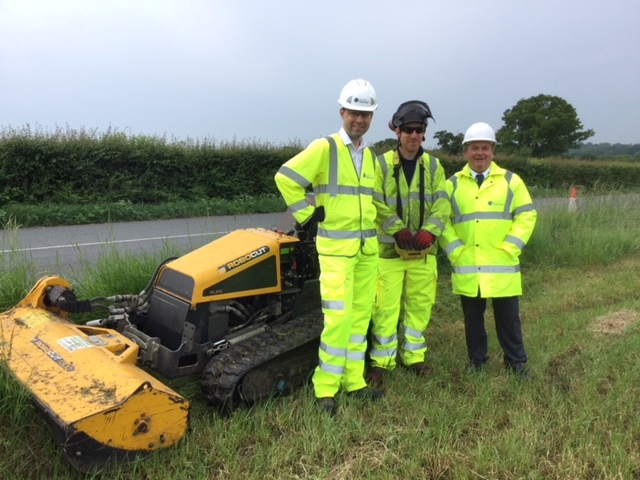 The machines, which are now starting to be used, have been supplied by Skanska – the company appointed to deliver highways maintenance services in the county over the next seven years. The council also said that it takes extra care to manage more than 200 “Roadside Verges of Ecological Importance”. Verge cutting is timed to manage these areas, which are home to rare flower species. 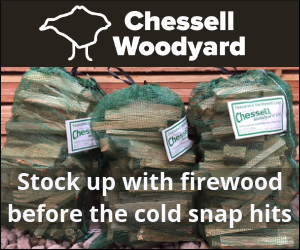 “As I’m sure gardeners across Hampshire are well aware, the combination of warm and wet weather we’ve had recently has resulted in rapid growth. 4 Comments on "Robotic grass cutting in Hampshire: Good idea for the Isle of Wight too?" If it results in just lines of sight being cut rather than the indiscriminate destruction of wildflowers/grasses in verges where there is no need to cut.especially when the flowers are in full bloom and not seeded then worth considering but not easy to see how the robots could be programmed successfully in view of the types of roads we have onthe Island. How interesting that in this mail-out, there is a letter condeming the verge cutting, then a bit further down this article appears….! A total coincidence. Don sent his letter in on Wednesday, but we were waiting for photos, which came the following day. Then this robot verge cutter news came out from Hampshire the same day.